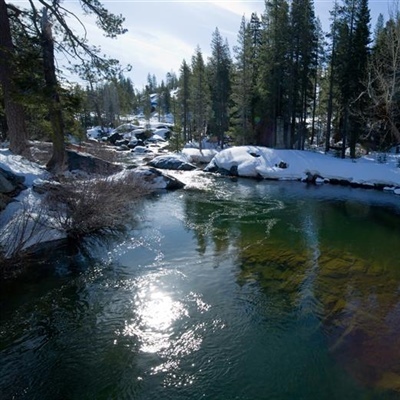 This sparkling water from melting snow in the Sierra Nevada mountains in California is vital to a number of users from nearby cities and towns to the region’s valuable agriculture industry. Credit: Dale Kolke/ California Department of Water Resources. NOAA’s experimental predictions were accurate for much of the West except in the mountains of the southern Sierra Nevada. The infrequent and chaotic nature of precipitation-producing storms in the mountains stretching from California to Washington have long been a challenge. Please go online for a graphic and story comparing snowpack prediction in the American West with actual snowpack from observations.